The Midnite Solar MNEPV63 is a 63A, 150V DC (max) breaker, din rail mount (13mm wide) designed for use in DC solar combiners & branch circuit breaker boxes. 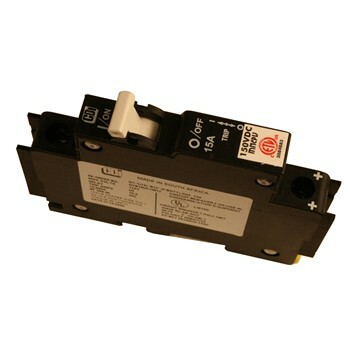 MidNite MNEPV63 breakers have been evaluated by ETL to 150VDC and are listed for US and Canada. All of the NRTL listings still apply.